Most people that buy a plastic kayak don't put much thought in how to store it properly. 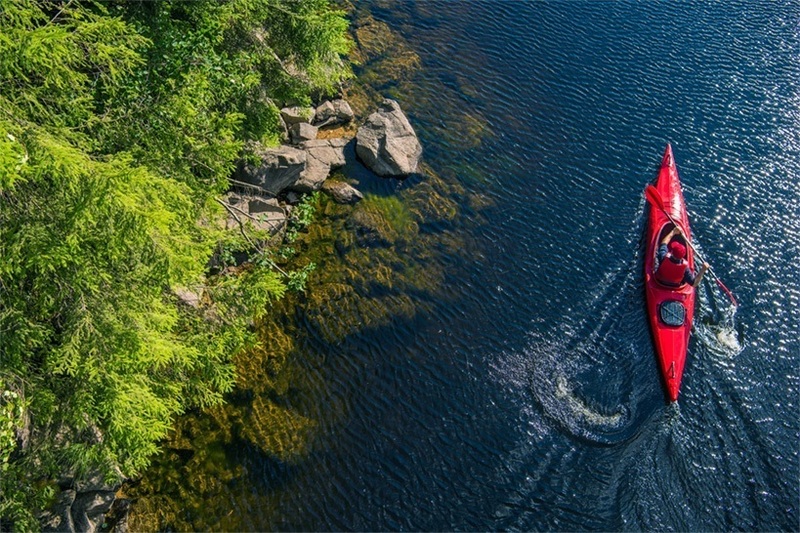 That's one of those details that can play a crucial role in the longevity of your kayak. Keeping it outside, continuously exposed on the sun and other elements is one of the worst things that can happen to your kayak. Here we will explain how to store a kayak so that it can be well-preserved for the next season. This guide is made as a series of frequently asked questions that touch every aspect of kayak storing. Here’s basically everything that a kayak owner should ever know about kayak storing. Is It Ok to Store a Kayak Upside Down? Is It Ok to Leave Kayak Outside in Winter? How Do You Store a Sit on Top Kayak? Can I Store a Kayak Outside? Proper storing is essential, but cleaning it before storing it is evenly important. Leaving sand dirt, salt, and other residues can not only leave stains on it, but it will help disintegrate your kayak. Besides, people buy a new kayak when just after one season it is decorated with mold and stains everywhere. The best way to clean it is with a bug remover. Just spray all over the kayak before you clean it with your hose. This method is simple, doesn't take too much time, and no scrubbing needed. Before you store the kayak away, make sure that is all dried up, and there is no water left in its haul. When it comes to kayak storing one important thing to look out for is its weight needs to be evenly distributed. Unevenly distributed weight can distort the kayak. However, that can't happen overnight, but it will over a specified period. Plastic kayaks are especially prone to distortion. Even wood-hulled and composite kayaks can be deformed over time. Because of that its best to avoid storing the kayak on its hull, standing on one end, hanging on its grab handles while providing support only for its stern and bow. At the same time, it's essential not to lay it on a flat, hard surface. The best option is to support it on several spots along its length. You can achieve this with padded cradles and angled surfaces. Or you can opt for wide nylon webbing that will match the curve of the hull. In case you own an inflatable kayak, deflate it and take it apart. Yes, it’s okay to store a kayak upside down. 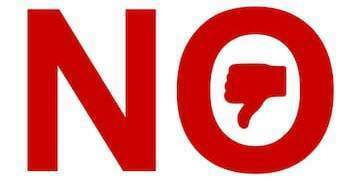 However, there are some basic principles to be taken into consideration. First of all, the kayak needs to be appropriately supported, on several points along its length. That way its weight is evenly distributed. At the same time, the support needs to be reliable and attached to something firm that will hold kayak's weight. That way you can be sure that the kayak won't fall and potentially hurt someone or make some other damage. Find a shady spot that will protect it from rain, sun, snow, and other elements. Then place a water-resistant tarp over it. Make sure that the tarp completely covers the kayak, but at the same time make sure that it doesn't touch it. The thing is that if the tarp comes in touch with the hull, it can cause mold or fungal growth. Also, make sure that the tarp doesn’t collect snow or rain. That can cause pressure on the kayak. Much has been said about properly supporting the kayak and all that applies when the kayak is kept outside. Again, the key thing is the proper weight distribution. How you will achieve this, what you will use, that’s entirely left up to you. Close the cockpit of your kayak. An open kayak is like an open invitation for chipmunks, squirrels, ants, lizards, spiders, bugs, rodents, even snakes. Any of the little buggers can cause significant damage to the rubber and foam attached to the kayak. Not to mention the fact that you may notice the unwanted passenger with you when you are on the water, and it's too late to do anything about it. Other dangers of kayaking can be found here. Locking the kayak is always a good idea. Especially, if it is outside. Don’t make it easy for someone to grab it. Winter or not, it's best to keep it hidden from prying eyes. If you are thinking about kayaking in the winter, do check out this article first. Pretty much everything that was already said about storing kayaks applies for storing sit on top kayaks. The weight needs to be distributed evenly, and it needs to be protected from the weather elements, and cleaned well before storing it away for the next season. 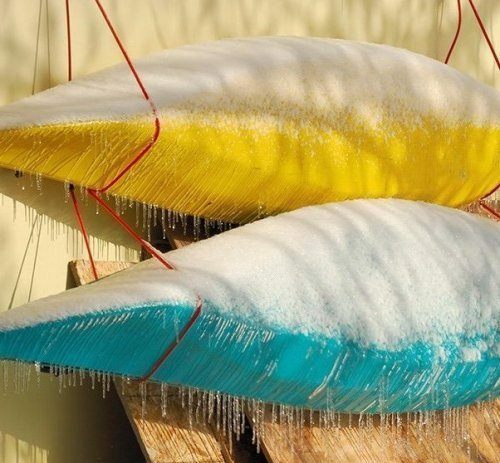 Above, we’ve elaborated in details whether it is OK to leave a kayak outside in winter. How you store the kayak for during the winter is almost identical to how you store it outside for other seasons as well. The biggest difference is that during summer months you might want to spray some sun-protective spray over it. That's in case it is exposed to the sun. The UV rays can cause significant damages to the kayak. A sun protective coating doesn't cost too much money, doesn't take too much time to apply it, and it can go a long way. 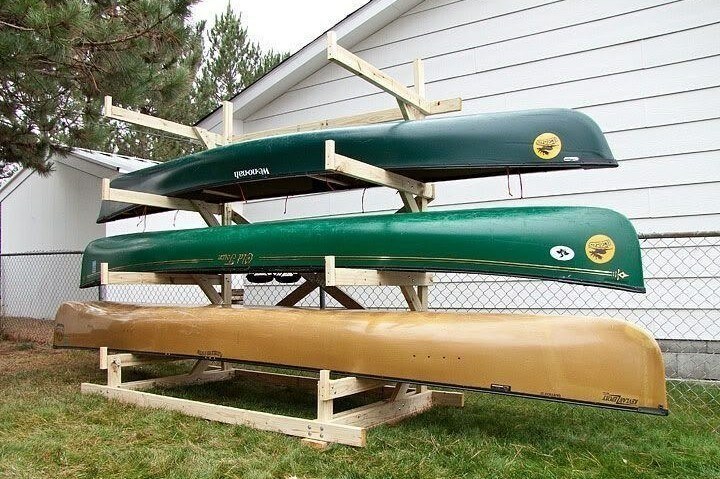 It can also help during the transportation of your kayak from point A to point B using a kayak roof rack. Even when you are out kayaking, always keep a sun protective spray close with you. By regularly refreshing the sun protective coating you will be adding years to your kayak. Don’t let it hanging from the​ ceiling. Gravity is no friend to kayaks. It will create pressure on some places and distort it. Don't leave it be on a flat and hard surface. The plastic of the kayak will start caving under its pressure. Don't hang it from its handles. That's putting pressure on specific points and not evenly distributing the weight of the kayak. This can make the kayak's bottom sag. Don’t underestimate the sun and its UV rays. Always use UV spray to protect it from the sun rays. Constant exposure to the sun can make the plastic brittle. Keep it locked and secure. Exposure to weather elements and rodents is bad, but nothing compares when exposed to humans. Some too many people can be tempted to steal it if the opportunity occurs. Keep it strapped to a fence or something else that cannot be easily removed. If you want your kayak to last for many seasons you have to clean it regularly. Moisture is something that can also affect the kayak's condition. Moisture can have the same degrading effect on the kayak as UV rays and other weather elements. Therefore, wherever you might be storing it, make sure that it has zero or only limited exposure to moisture. Keep your accessories at a different location. Don’t store your kayak accessories like bilge pump, float bags, and paddles in the boat. They too need to be cleaned, dried and stored properly. Don’t put additional pressure on the kayak by having them in it. When out in the wild on some lake or kayaking in the river, we often have to store the kayak anyway temporarily we can and use the surrounding environment. And at that point, many inexperienced kayakers make dumb mistakes like keeping the kayak near the campfire or even sit on it. Both actions can cause damage to the kayak and hence not recommended. Don’t leave your kayak strapped on the car for too long. Many people just let their kayak strapped on the car until their next trip. That might be next week, two weeks later, or a month later. The more it sits there, the greater the chances it gets distorted. Don’t let your car or a van be a place of storage for your kayak. Whenever you arrive at your destination, remove it and place it on some more appropriate place. Storing a kayak is no rocket science, nor was it ever intended to be. It is a set of logical steps that if followed can make your kayak last for many years. Each one of those rules and principles has been explained in detail above. The key thing here is to apply them as closely as possible and leave nothing to chance. Sticking to what you learn is the only secret on how to store a kayak. Learn and apply; there is nothing more!